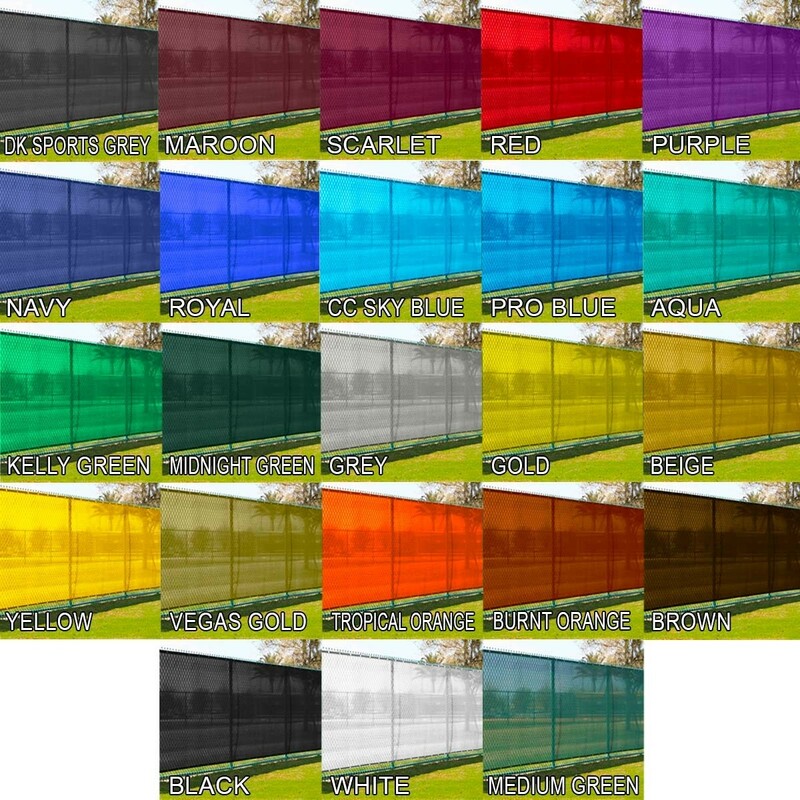 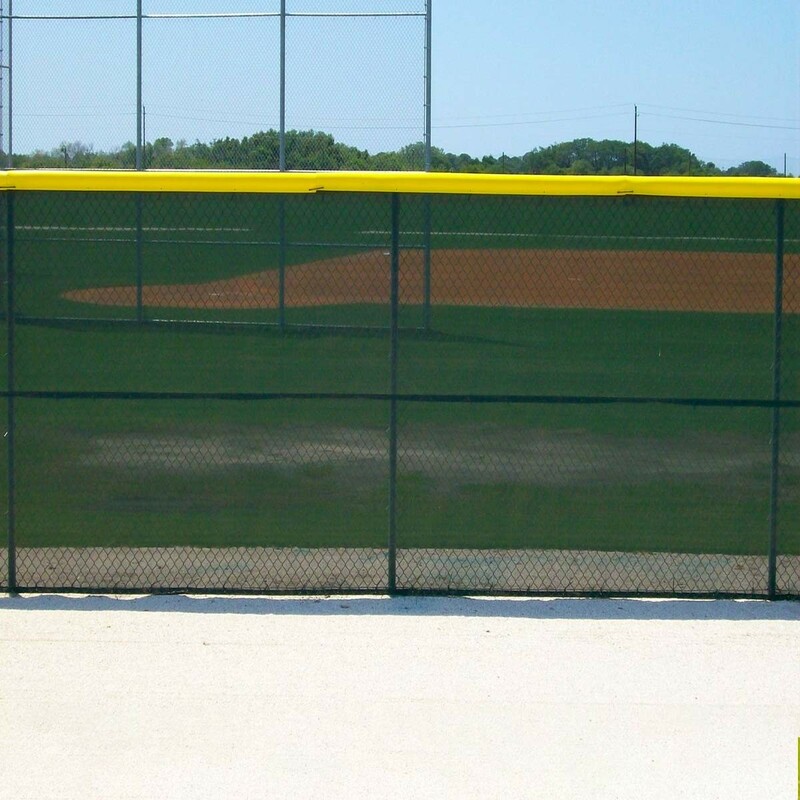 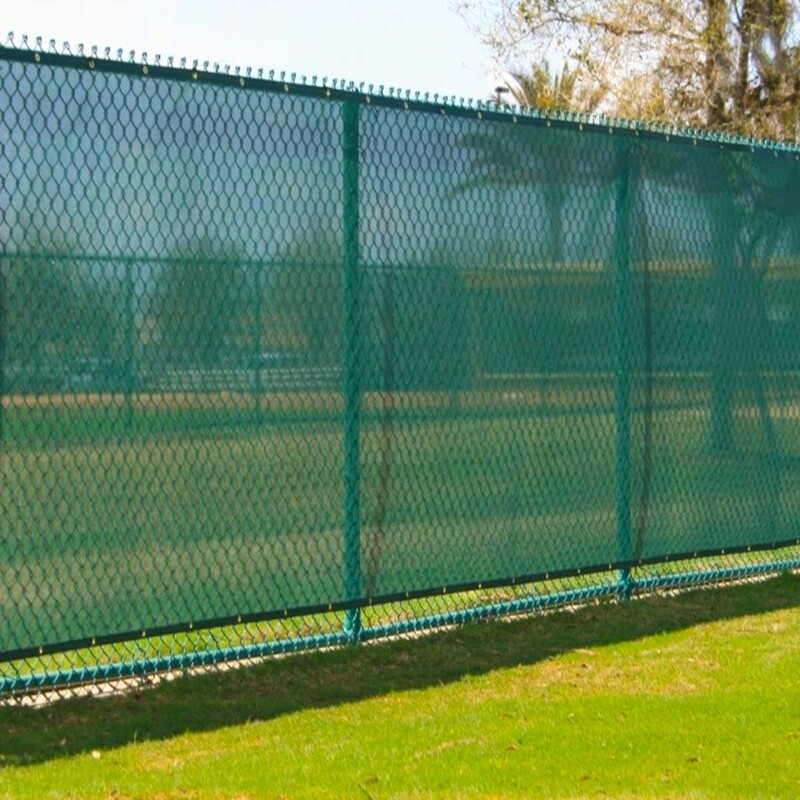 The Aer-Flo TWS9 Tuffy windscreen measures 9' in height and is made with Aer-Flo's exclusive Vipol™ Matrix material, a virtually tear-proof, super-durable mesh fabric comprised of tightly woven micro-fibers. 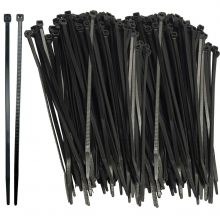 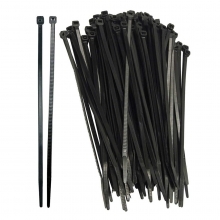 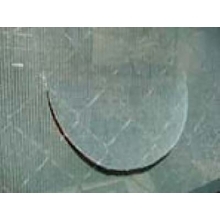 Tuffy is the only windscreen finished with double-needle lock stitching, eliminating unraveling thread of traditional windscreens that are fully chain-stitched. 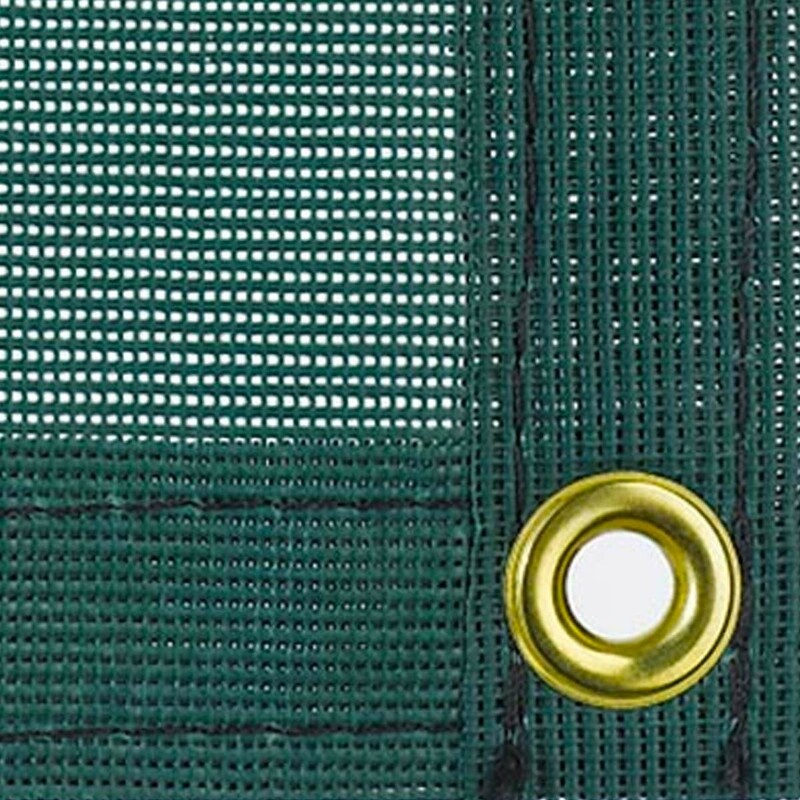 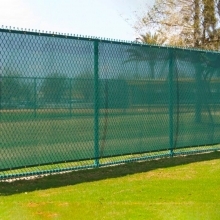 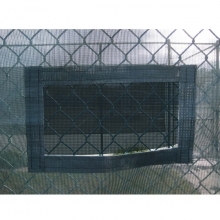 The Tuffy privacy windscreen features all around edging with high-quality grommets that are installed every 12” inches. 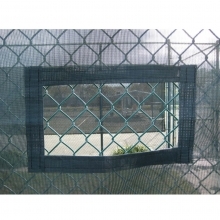 The Tuffy windscreen allows 22% wind pass-through with a shade factor of 78%. Give your Tuffy windscreen a professional look and enhance you team's brand with sharp multi-color imprinting. 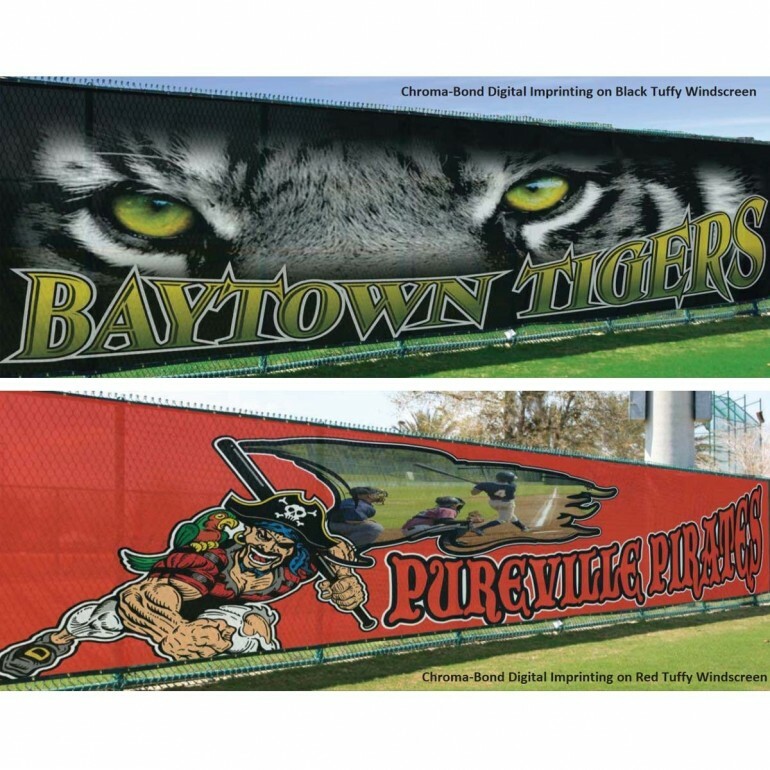 This custom artwork is available via Aer-Flo's Chroma-Bond® imprinting process that produces thousands of sharp multi-color images for teams at all levels. 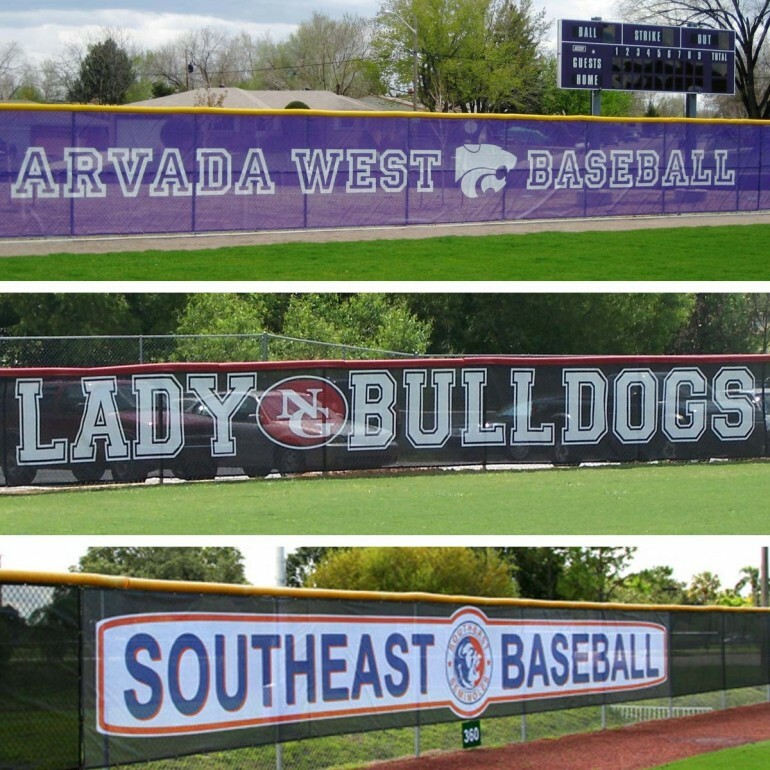 Also offered is Aer-Flo's new state-of-the-art Chroma-Bond® digital imprinting that produces vivid, finely detailed images that are highly resistant to UV sunlight and abrasion. 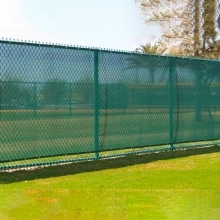 The Aer-Flo TWS9 9 ft. high Tuffy windscreen is backed by a 5-year factory warranty.